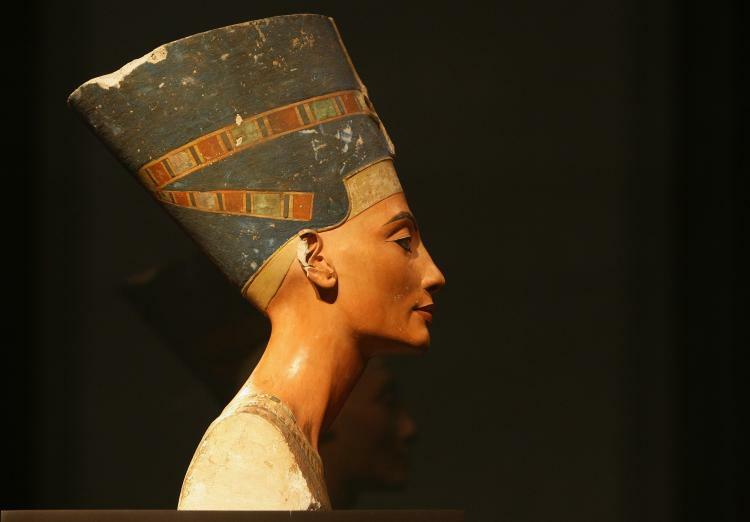 Queen Nefertiti of the ancient Egypt was famous for her sculpted and contoured sharp jaw and neck line. In the Nefertiti Lift procedure, your doctor uses injection of neuromodulators (Botox, Dysport or Xeomin) at jaw and neck to relax muscles at carefully selected locations including the platisma muscle that envelopes the neck and is responsible for creating vertical neck lines (neck bands) as well as pulling down the jawline. As the platisma muscle is relaxed by Botox, Dysport or Xeomin, its downward pulling effect on jawline is reduced and the counter-acting muscles in face are enabled to pull the skin and jawline upward, creating a more defined and contoured jawline with better-toned and tighter skin. The treatment can be combined with Jaw Sculpting using fillers and/or PDO Thread Lift. Contact Amoderm today and schedule a complimentary consultation to learn more about these and other treatment options to rejuvenate your neck and jaw!